As an automobile lover, I can't believe my eyes. Now I know that all the fictions shown in movies will exist in real life one day. Its just a matter of time. 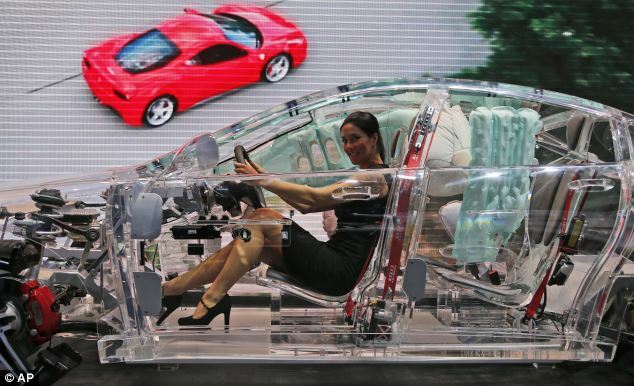 Imagine having a transparent car drive you in the city of Lagos, Abuja or anywhere in Nigeria? To some its just having your privacy been blown open, well, car manufacturers are thinking differently as they have unveiled a transparemt car in Germany. 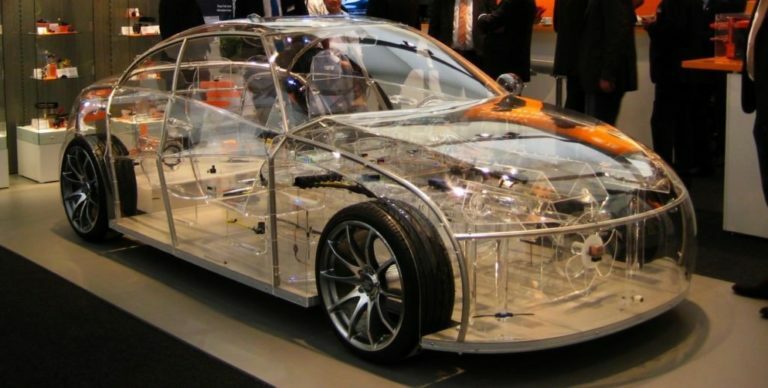 A car company in Germany yesterday presented to the World the first transparent car from ZF company, the car is equipped with different security systems. 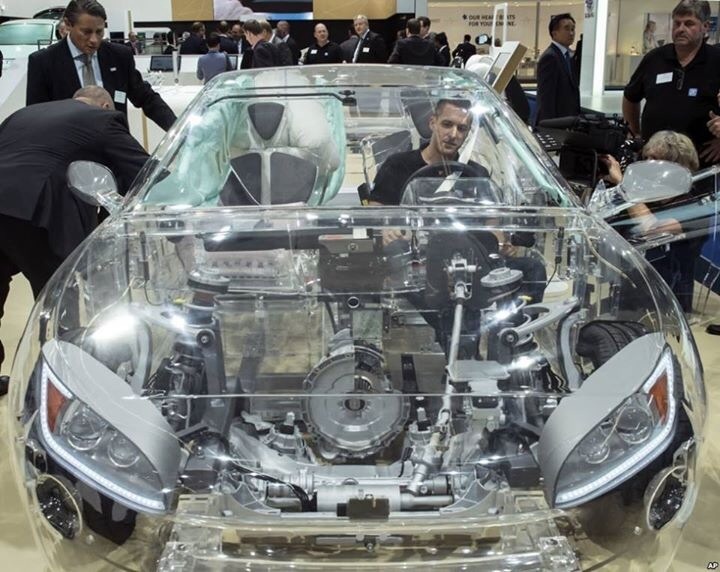 This transparent car was presented on the second press day of the Frankfurt Auto Show IAA which was hosted in Frankfurt, Germany. Someone once said their is nothing like heaven that have not been conceived in the heart. That it was simply written in the bible by white people. He said to me "heaven is advanced world while hell is Africa'. Chai, one Ogbonnaya Onu will soon come out to show the world that we can now produce pencil or show the world one toy car crafted by Omo Igbo. Chai. Africa no get shame at all.